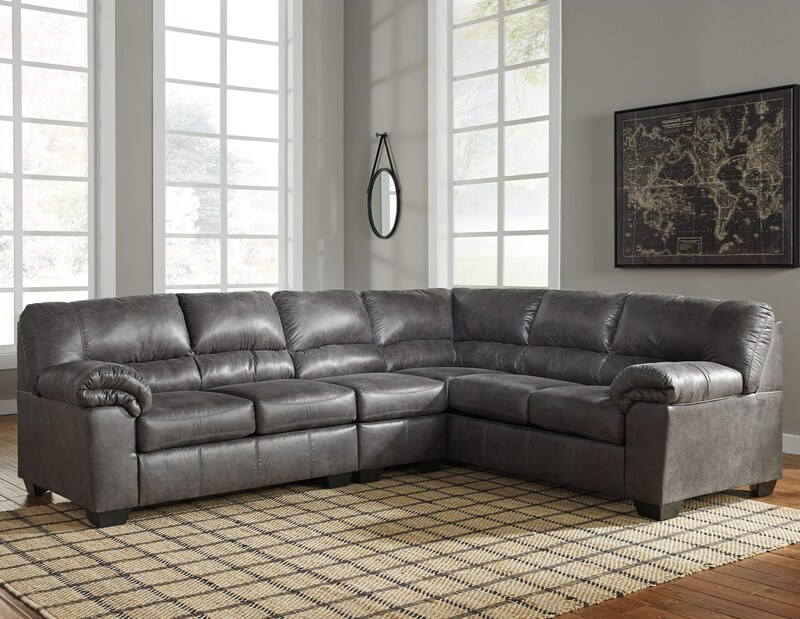 Casual style with a plush bustle back, pillow arms, and accent stitching make this faux leather three-piece sectional a comfortable addition to your living room decor. Its rugged design appeal fits easily with contemporary to more casual furnishings. The Bladen 3-Piece Faux Leather Sectional by Signature Design by Ashley at Michael's Furniture Warehouse in the San Fernando & Los Angeles area. Product availability may vary. Contact us for the most current availability on this product. 1200146 Armless Chair 1 24" 38" 38"
The Bladen collection is a great option if you are looking for Casual furniture in the San Fernando & Los Angeles area. 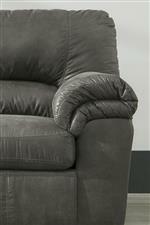 Browse other items in the Bladen collection from Michael's Furniture Warehouse in the San Fernando & Los Angeles area.